Rider Interview: WorldTour rider at 21, World championships, Classics, Monuments and races all round the Globe... Then? After all those experiences Alexey Vermeulen found himself without a team for 2018, but a last minute deal has given him a place in the Japanese Interpro-Stradalli squad. Alastair Hamilton caught up with Alexey to hear all about it. Here at PEZ we have been keeping in contact with Alexey Vermeulen since we first interviewed him as a first year professional. 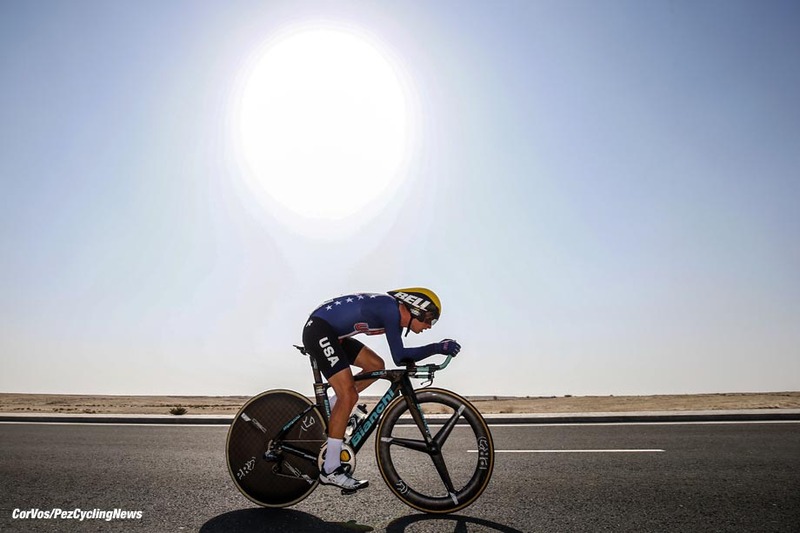 That was in January 2016 in the Spanish resort of Albir on the Mediterranean coast, Alexey had just turned 21 years old and was attending his first LottoNL-Jumbo training camp and had the World at his feet. 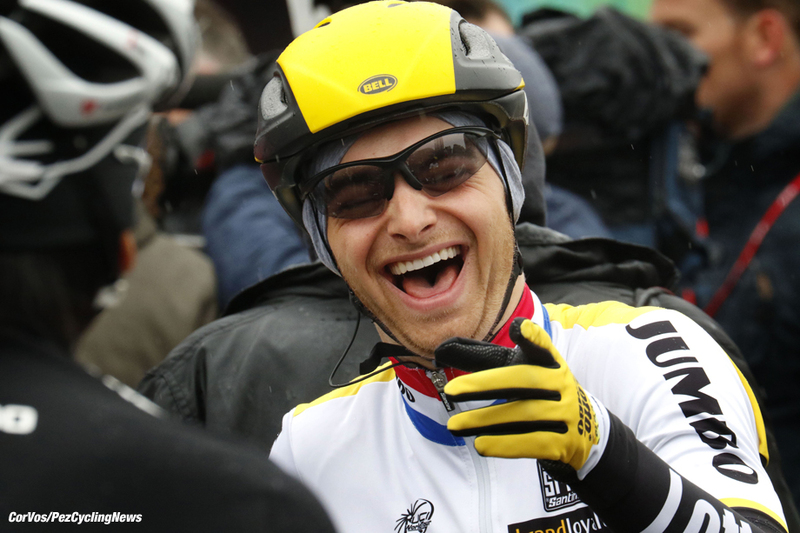 For the next two season Alexey rode all round the Globe in mostly WorldTour events and two World championships. There were no wins, but there was a lot of hard work for his team leaders and you can count the DNF's on one hand. Alexey also spoke to us during the 2017 season. 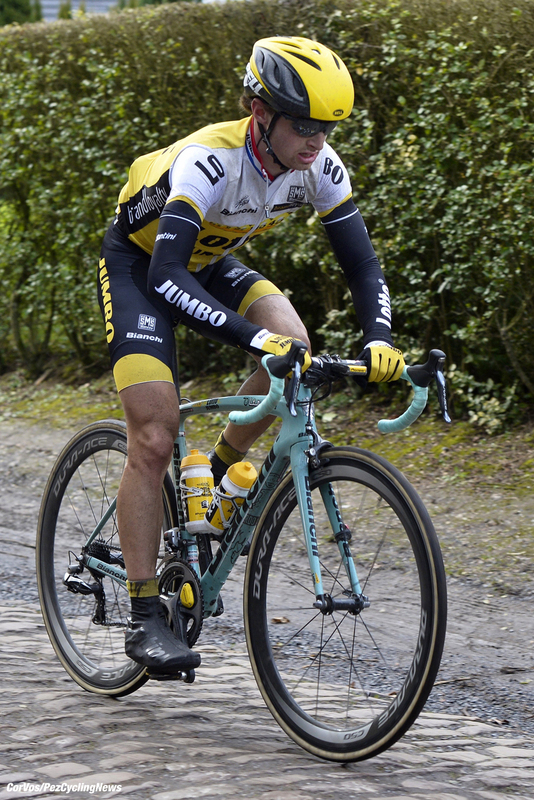 At the end of 2017 the LottoNL-Jumbo team decided not to renew his contract for 2018 and the man from Michigan was left without a team and not many options. Returning to the US from his European base in Girona, things didn't look good, but he didn't lose hope and trained like a man on a mission. Earlier this week Alexey was able to announce that he would be racing in 2018 for the Japanese base UCI Continental Interpro-Stradalli team and was on his way back to Europe. We managed to catch up with Alexey as he was preparing his new bike and packing his suitcase to meet up with his new team. PEZ: So, you've got a contract for this year! Did you give up hope at any point? 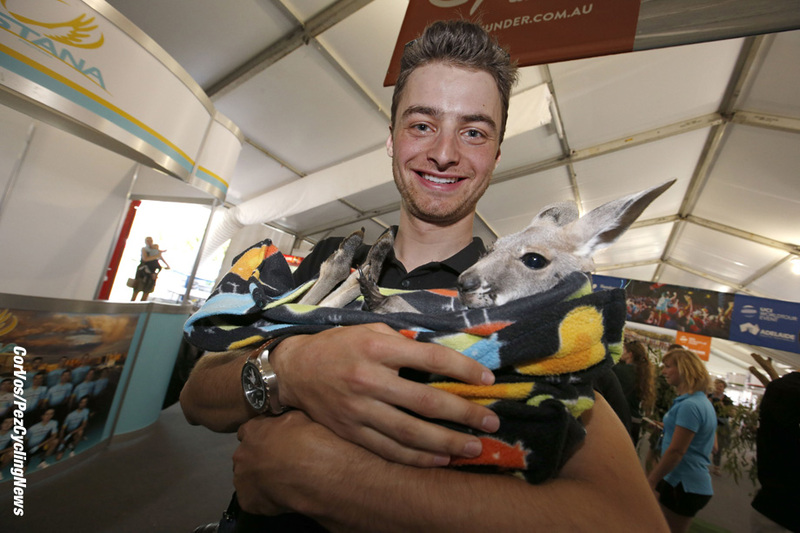 Alexey Vermeulen No, not at all. I'm really excited about this opportunity when it came along, my biggest issue was finding a team that had the right pathway that I thought I could make the step back from. I had offers from teams that race in America and Asia, but I think that it's quite difficult to race there and not be compared to the big teams. So Interpro came along in mid January, which is quite late, and when I saw their schedule I was immediately interested. They race a lot in Asia, but they also have a big block in Europe with some big races that include the Tour of Norway, Castillon and the GP. Indurain (in Spain) - some big UCI races. That peaked my interest as that's what I need to do, to be racing against those guys to prove that I deserve to be there. PEZ: So what do you know about your new team? A good bit now. I've been talking, but I've still not met anyone, so that's interesting. Usually you will have done some training camps with your guys before you race. The team were actually in Florida, as Stradalli headquarters out of Florida, but they contacted me right after that, so I haven't met anyone yet other than over Skype and phone calls. I'm excited and eager to get over there and meet everybody. Other than that the big bosses are in Japan, the team license is in Japan, there is a French contingent that will mostly ride that European block of racing, but overall the team is quite international. There is a good group of French guys and a good group of Japanese guys and there are some guys from Africa, Norway, Great Britain, America now - So it's quite international for a Continental team. PEZ: Will you be based in Europe again? Yeah, I actually fly over to Austria on Thursday, and arrive on Friday, I think. PEZ: Will you live in Girona again? I probably won't have so much of a base as financially it isn't so smart. I'll bounce around as the team has a house in France and another in Spain, I don't know exactly where. I'm learning all this stuff as I go, it's exciting, but a bit different from what I had in the past. There are places to stay and there will be times when I can fly back to Austria, otherwise there will be times between those one-day and stage races when I can stay in one of the house with the team. It will be nice to get to know the guys, I have really missed that bonding time that goes on at the training camps. PEZ: So you are going to be in Europe nearly 100%. Yes, the team does a bit in North America as well, so I think I'll come back at the end of May for the Tour de Bouce and the Nationals. We've not talked about my schedule past that, but the team is also interested in getting into the Tours of Utah and Colorado, that could also change things. 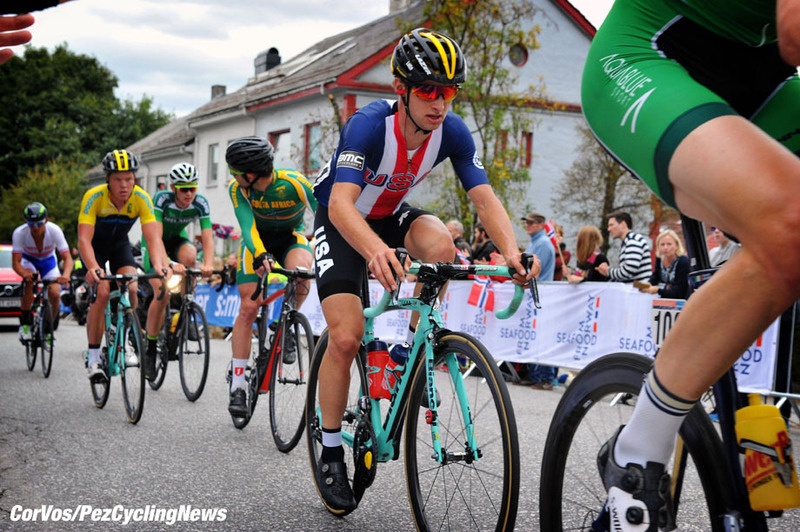 Right now I'm planning on going back for the Nationals after the three month block of racing almost every weekend and then back to Europe after the Nationals. I have the frame already, so I'm excited about that. As you can see it's all stacking up quick. I think I get the components on Tuesday, build it on Wednesday and fly on Thursday, so hopefully there's no kinks in that line. The frame looks beautiful and I'm excited to ride it, that's for sure. Stadalli has been awesome, I've never had a bike company where the owner calls me up and talks to me and is interested in how I came through cycling, that was cool. 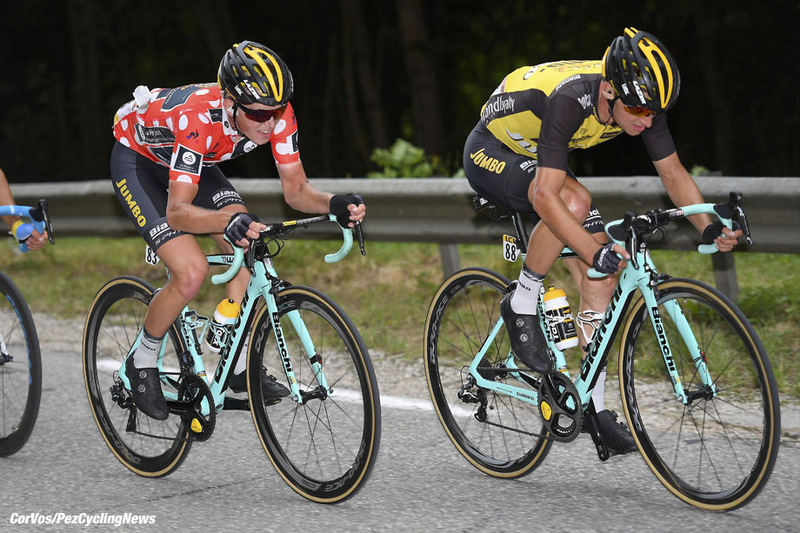 PEZ: At the end of last year you must have been disappointed, but were you also surprised with what happened with LottoNL-Jumbo? Definitely surprised and disappointed. It was a position I didn't expect to find myself in. I wasn't sure if I was going to stay with Lotto, this might sound like I believed in myself too much, but I expected to have a contract, if it was with Lotto or possibly with Cannondale. As each stage fell through I realized how fragile it was. There was definitely some learning points with some disappointments in there, but overall it made the picture quite clear what I wanted to do. I realized that there was a point where... I was not hating cycling, but It became a job for the first time, which was new to me. That was for a very short period and it wasn't that I was hating cycling or the job, it was that I was struggling with the situation I had found myself in. 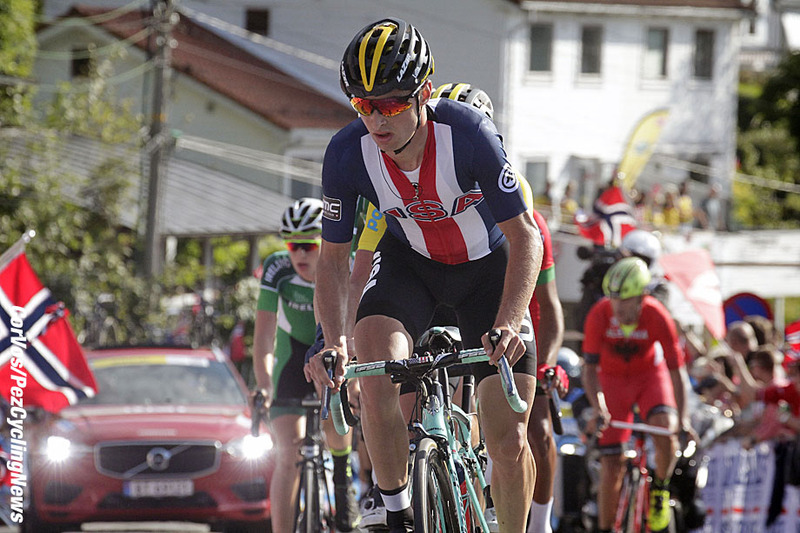 From then on my eyes were open and it was quite fun as I got to ride the Worlds and I got in the breakaway, that was cool and all my friends got to see me. Some guys were talking about me doing that to spite Lotto, or trying to prove something, it's actually not the case. I would love that to be true, but it wasn't. I was with the National team and racing for fun again and racing for myself. PEZ: Was it not a bit strange to be riding the World championships and not knowing if you would even be racing in 2018? That's true, I didn't know if I would be racing. I didn't think about it that much to be honest. I wouldn't imagine anyone get's used to going to the Worlds, at least I've not. I've done them five times and every time its like: "Oh my god! This is amazing, this is so cool." I think I was overwhelmed. After the Worlds I felt it again, going to the Japan Cup and realizing, the group I went with I really got on with all those guys, so I realized I wasn't going to be racing with Lotto, more I wasn't going to be hanging out with these guys anymore. That's the crazy thing, you live so much with the team and there are guys you have the inside jokes with and you see something and you want to send them it and I realized that was ending. That was what really hurt me. I can sometimes be a little emotional about it and of course I was sad I didn't have a team at that point. By then I had crossed over to knowing that I wanted to keep racing and it was more about trying to find that best fit and at some point after the Japan Cup that I accepted that the WorldTour was not going to be an option in 2018. PEZ: It would be a bit like leaving a family, bit like a divorce. Exactly. There is definitely some of the family who are like your second cousin's step brother who you don't connect with very well, but I really miss seeing them and there are guys I've made a point of trying to contact them over the last two months, but it's not easy to connect and catch up. Usually we were doing it every month and in person, hanging out and that doesn't happen any more. It would have happened if I left the team anyway, but that was all added on top of my situation. PEZ: Do you have a big plan to get back to the WorldTour? I wont throw all my cards down, but I need to win, that's the end of it. 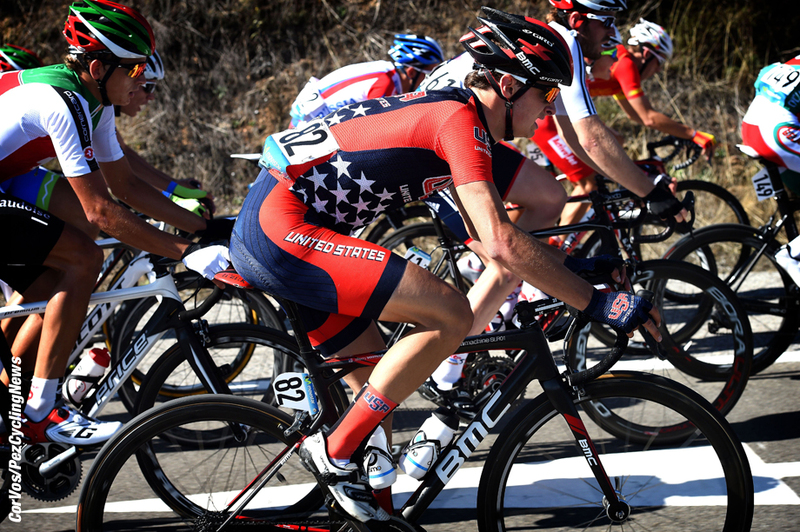 It's hard enough to make it into the WorldTour and I thinks it's even harder to make it back into the WorldTour. I think most of the people I raced with have had good things to say, my place with Interpro was due to the recommendation of a coach and a rider. So I know I need to win and I have some big goals, those three and four day stage races in Spain - UCI 2.1s - Castilla Leon and Vuelta Madrid, there are four of them in April, so I'll hedge my bets on one or two of those and go all in for those and take some chances, it's going to take some real guts. I'm also going to be in a very different position, in the last two years I've been in a winning position on two occasions and they were in the National championships in America, that's based on a really hard schedule. I'm not saying that 2.1s are easy, but I would say that you wouldn't be racing every week with the World's best. 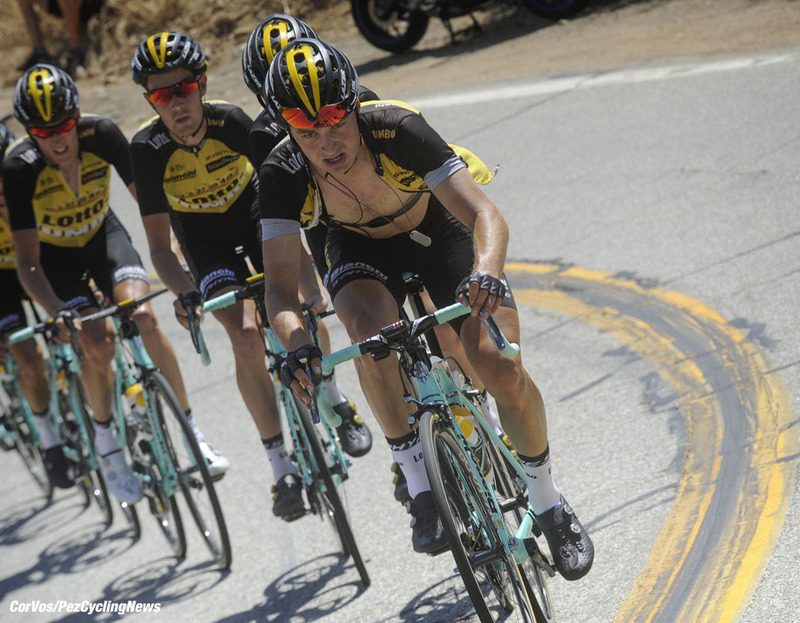 PEZ: Do you think you were too young when you turned pro with LottoNL-Jumbo? I honestly don't think so. I wish I hadn't broken my wrist and missed the last two-thirds of my under 23 career, because I think that makes a big difference to have had three full years under me. My birthday is late (December) which makes me even younger, I was born in '94. In the end, if I look at the big picture, if you don't talk about age, I will never regret taking the jump. When I say it like that, I can't say I was too young. It's not like I didn't finish the races, of course I wanted more results, but I finished most of the races I did in the first and second year. I was up there, I helped the team, I was part of some winning teams and I'm sure people would say so. I said not long ago that I would not recommend that any Under 23 should leave before their third year. Some people handle it better than others. I would say it would have worked perfectly with Lotto, but they looked quite hard at results and I raced almost entirely in WorldTour races. I was 22 at that point and they were letting you go because you don't have results, but you've been racing at WorldTour races. So to come back I need results and I think this team offers the races that will allow me to get the results to come back. I'm motivated, I think everyone has seen that, I've not stopped. I've spent my own money to go to training camps to make sure I'm fit and ready to go. I'm sure I'll suffer in the first races for the first couple of months, but I definitely can't wait to pin on a number. PEZ: What are you looking forward to the most? Not race food! Honestly just racing again. Like, training for something else. I feel like I'm training and I'm strong, but it is also like it has been continually for nothing. I knew something was coming but I've been grasping on to the goals I had, but they can't be set in stone because I didn't know what races I would be doing. Slowly that has come together, I think it will be nice when I can get into a race and use what I've been doing. It's hard to just keep training for no reason. PEZ: You're going to be in a team leader situation with this team. Yeah, which is also good experience. It will teach me and it is quite a young team, there are a lot of young guys, and the manager said the other day that they will learn from me. I'm excited and I will definitely put some pressure on myself and I'm ready to get back into that constant flow of racing. It makes me confident that I've made the right decision. PEZ: Like not signing for a US based team? Yes, you don't get seen. Also if you can do California it's pretty much for ProConti teams and WorldTour now, Utah and Colorado are great, but I wasn't born at altitude, so if we were just going to settle on those races then we are talking about doing three week long training camps at altitude and a lot of preparation and zero mistakes happening. No flats and no crashes. You're talking about focusing on just two races to have guys see you, which is difficult and now I have given myself more chances to be seen. Even if I had been more comfortable, this is going to be a better situation, now its time to take it into my own hands. More info on the Interpro-Stradalli team website and Stradalli bikes HERE.